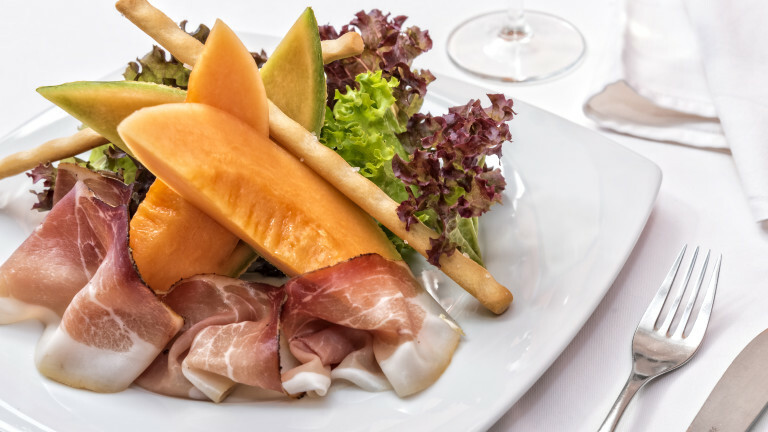 Welcome to the Hotel Brückenwirt, your traditional boutique hotel in the heart of South Tyrol. Where tradition and comfort meet. Situated right next to the monastery Neustift near Brixen, the Hotel Brückenwirt owes its name to the river Eisack, which flows alongside it. The historical covered bridge, which today is only open for pedestrians, is a reminder of the building’s early significance as guard house, customs post and inn. Today it serves as a lovingly renovated, family-run boutique hotel with 14 newly decorated, individually furnished rooms and a restaurant that elegantly combines the best of the Mediterranean and alpine cuisines. 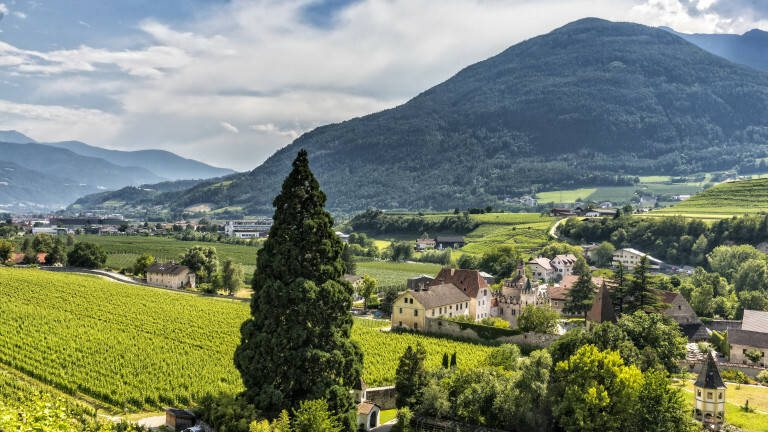 Enjoy a glass of wine from our well stocked cellar under the high old trees in our garden or relax in the heated swimming pool overlooking the surrounding vineyards and Brixen’s very own mountain, the Plose. 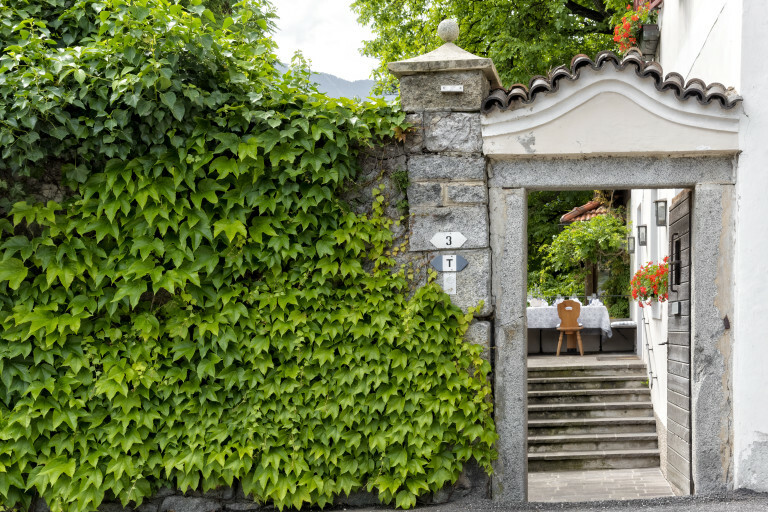 Take a stroll along snowy lanes or walk through the greening vineyards – every season offers its own unique experiences in the vast countryside surrounding the hotel. 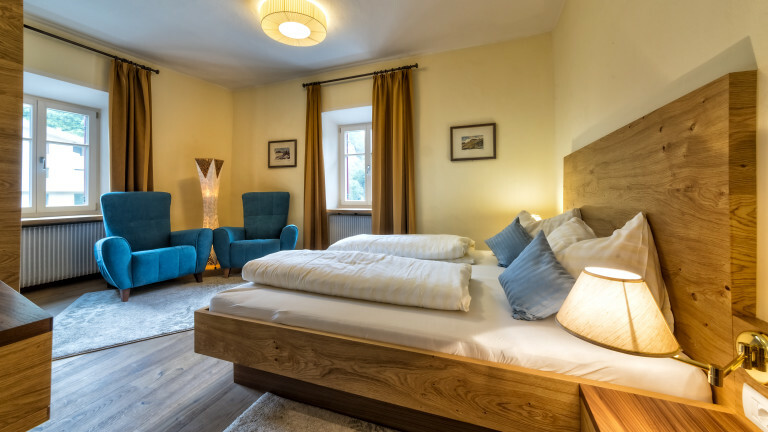 The Hotel Brückenwirt is situated only a few kilometres from the centre of Brixen – as guests you can enjoy the peace and quiet of the surrounding countryside while at the same time profiting from the good connection and the central location. Thus recuperation and holiday activities can be perfectly combined. We aim to maintain the history and tradition of this wonderful old building while at the same time ensuring all modern comforts for our guests. 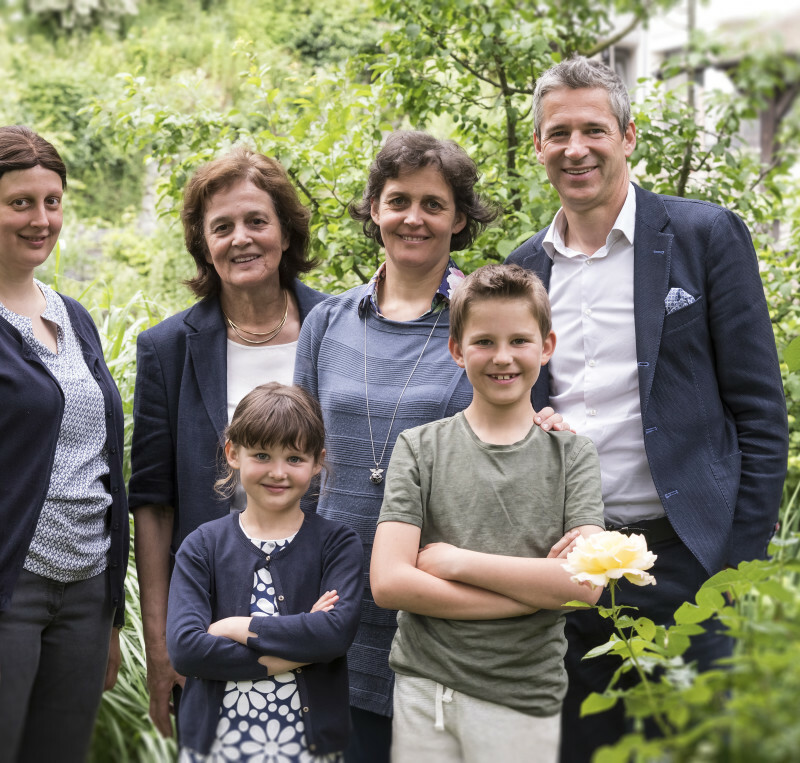 Right next to the river Eisack and only a stone’s throw from the monastery Neustift the Zanol family welcomes you to the Hotel Brückenwirt, a house full of history and stories. 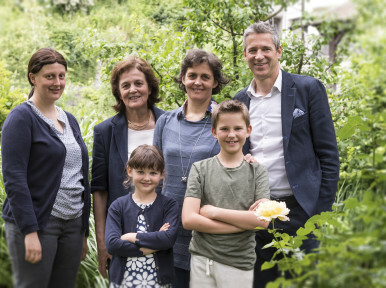 Family-run hotel situated right next to the old episcopal town of Brixen. 14 new and elegantly furnished double and single rooms with stunning views. Ideal starting point for hikes and trips into the Eisack valley or along the Keschtnweg. Large, sunny garden with heated swimming pool and view unto Neustift and Brixen. Free BrixenCard for your mobility in South Tyrol and all museums.